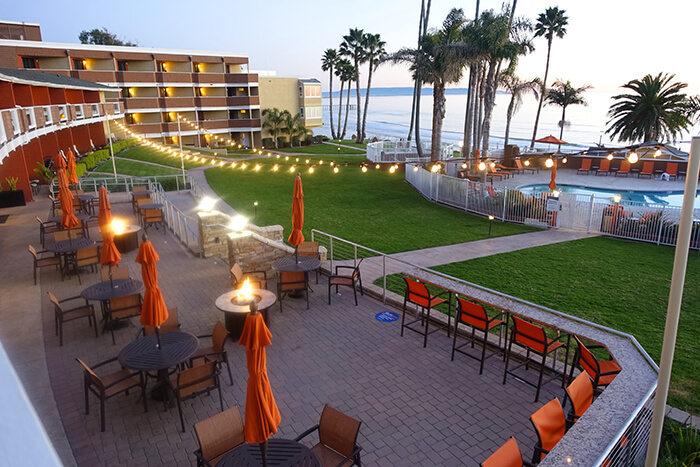 With its landmark seaside location, the SeaCrest Oceanfront Hotel has long been a popular and favorite Pismo Beach choice for lodging on California’s Central Coast. 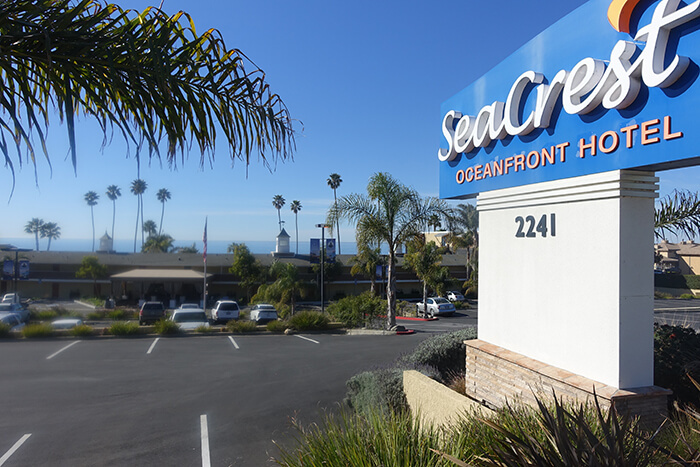 Considered the first Pismo Beach motel (when it opened in the 1960s, it was called the SeaCrest Motel), it has managed to keep its retro charm even as it has grown and evolved into a 21st century chic modernista. 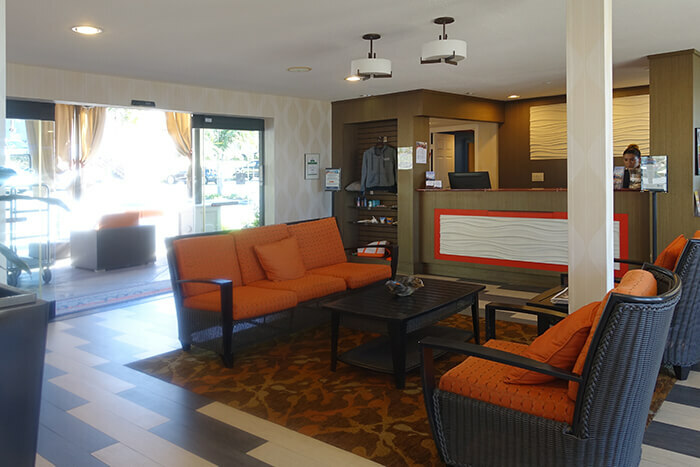 Today, beautiful and updated rooms have flat–panel HDTVs, ipod docking stations, and Keurig coffee makers. It has been wired so that there are plugins everywhere for every device you may travel with, and free WiFi throughout. Different owners along the way have added two towers on either side of the original crescent-shaped building, plus terraces (one a rooftop) and firepits, a heated pool, three hot tubs, and a spa. All this remains the frosting on the cake, however; the main “cake” being, of course, the Central Coast hotel’s fabulous setting and view. 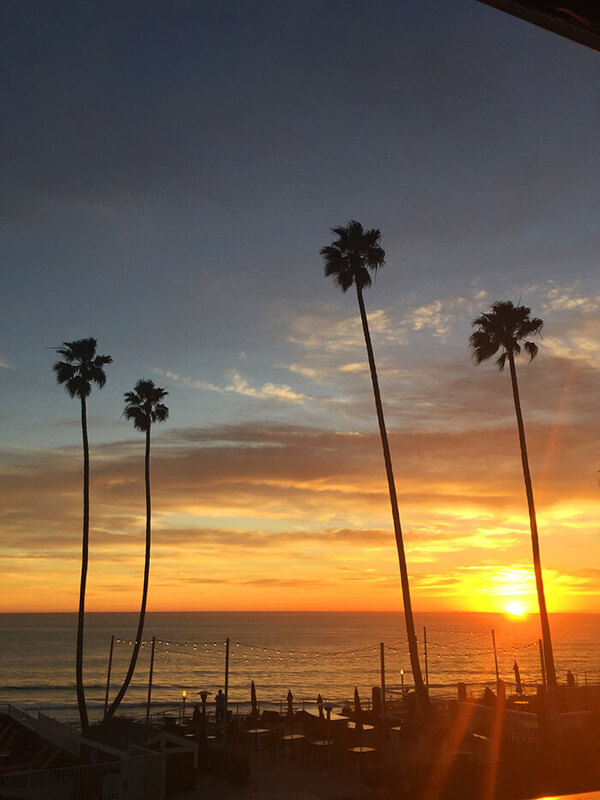 Sitting on my “oceanview” room’s balcony (Oceanview rooms have balconies, Oceanfront rooms have patios on the ground floor), I watched Pacific sunsets that were spectacular. In the morning, and in the opposite direction, I watched misty pink light transform the iconic Pismo Beach pier into an impressionist painting. And this at the cost of $159. (Check out the hotel’s numerous deals on the website.) If you’re looking to stay here in the summer, the prices go up considerably, but when my husband and I visited, it was February–apparently the off season here for Californians. 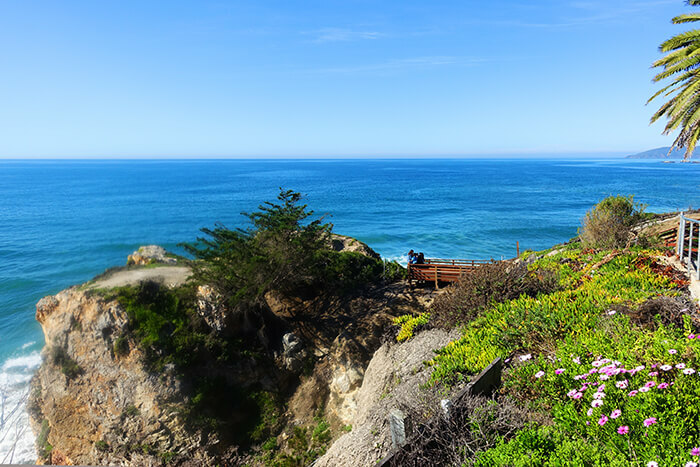 Located on cliffside bluffs overlooking the ocean, SeaCrest is not a beachside property where guests can walk out of their rooms and touch the Pacific ocean. Guests need to take a steep set of stairs down to reach the beach directly from the hotel property. Nevertheless, you’ll still hear the roll of the waves at night from your room, and the views from the various patios, room balconies, terraces and outdoor seating areas can’t be beat. If guests feel like barbecuing or having an impromptu picnic on the grounds, there are several grills available to use as well. 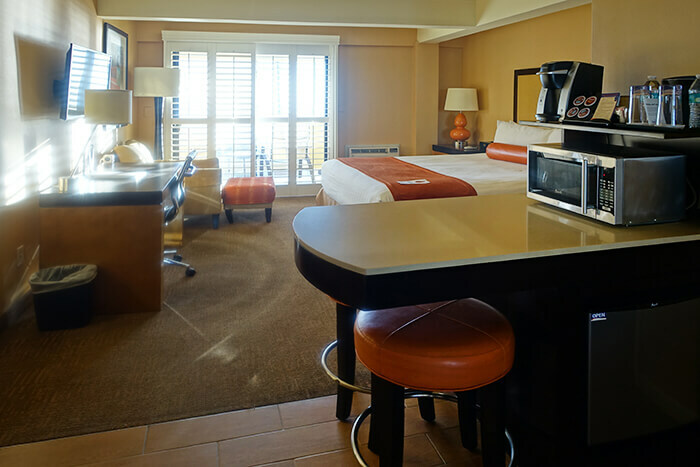 Currently, there are 158 guest rooms, deluxe rooms, or suites (including several specially designated pet-friendly rooms). 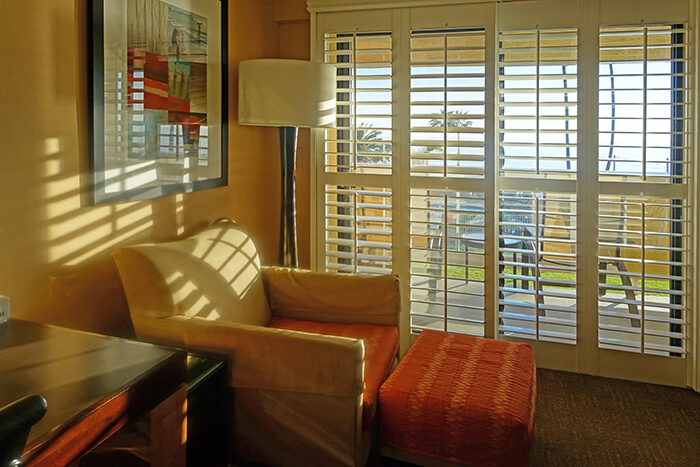 My room on the second floor was a cool but cozy oasis—I loved the slatted bright white wooden shades on the sliding glass door to the balcony, the golden walls, bright orange accents, and plushtop King-sized bed. Besides a microwave, I especially loved the empty refrigerator—no mini bar fare stuffed inside—it was perfect for stashing newly bought bottles of California wine, wedges of local cheese, fruit from the Pismo Beach Wednesday morning market—or even the complementary bottles of water that were left in the room each day. 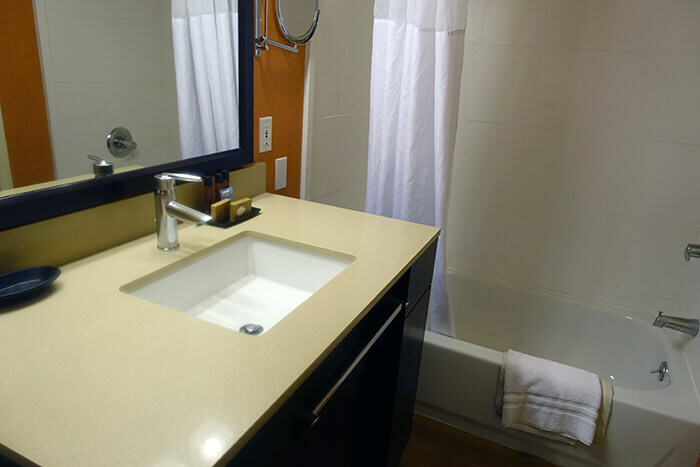 Compared with the rest of the room, the bathroom was fairly nondescript and standard (and spotlessly clean)–with only one sink and a combination bathtub/shower. Plenty of towels, hairdryer, magnifying mirror, plus two bathrobes were provided. Bikes (tandems, regular, and children’s) are for rent outside the lobby and a complementary continental breakfast is served near the check-in and lobby area too. (Coffee and fresh baked cookies are always available here.) The breakfast had the usual suspects: yogurt, cereal, bananas, as well as juicy California grapefruit and oranges. What I really appreciated was the cauldron of old-fashioned steelcut oatmeal–with toppings to choose from next to it. Still, the best part of this hotel breakfast was something not found in most city hotels: you got to enjoy your morning repast while sitting outside on the terrace– with a view of the ocean stretching beyond. For more information, or to make reservations, check the website. You can also check the rates on Hotelopia.